DENVER (August 10, 2016) – Good Chemistry Nurseries, one of the country’s leading Cannabis cultivators, continues its mission of improving the lives of others by supporting and participating in three upcoming Colorado philanthropic events, including the AIDS Walk Colorado, the region’s longest running HIV/AIDS fundraiser, and One Colorado’s 2016 Ally Awards, which support Colorado’s LGBTQ community. Good Chemistry is a proud sponsor of the twenty-ninth annual AIDS Walk Colorado, the Rocky Mountain Region’s longest running one-day HIV and AIDS fundraiser. The Walk, held on Saturday, Aug. 20, brings together more than 8,000 people throughout the region to raise money for vital services for HIV/AIDS clients of Colorado Health Network’s regional Colorado AIDS Project offices, Howard Dental Center, and many other outstanding AIDS service organizations. Huron experienced firsthand the devastation wrought from the disease, when his father and his father’s partner were diagnosed with HIV/AIDS. In 1996, when medical marijuana became available in California, Huron saw the symptomatic relief patients experienced from this alternative medical treatment. In 2000, he began growing medical marijuana for AIDS patients throughout the state, founding and operating a nonprofit medical marijuana co-op, which eventually led to his establishing Good Chemistry Nurseries. Click here to support the Colorado AIDS walk. One Colorado’s Ally Awards honors allies who have taken a stand and enacted change on behalf of the entire LGBTQ community. At the organization’s sixth annual event on Saturday, Aug. 20, Matthew Huron will be honored for his efforts in support of Colorado’s LGBTQ community. Continuing its support for One Colorado, Good Chemistry Nurseries returns as the Universal Sponsor of the event for the fifth consecutive year. Good Chemistry’s support for the LGBTQ community extends beyond the Ally Awards and Colorado AIDS Walk, with sponsorship of Denver’s Gay Pride Parade and the annual “Pink Party” at during Denver’s Gay Pride Weekend. Good Chemistry Nurseries also supports the Denver Police Brotherhood, the Comitis Crisis Center of Aurora and the Harm Reduction Action Center (HRAC). Good Chemistry contributed to Aurora Councilwoman Marsha Berzins and Sally Mounier’s “Marsha and Mounier Series” which partnered with two agencies who work with the homeless in Aurora to assemble “Back to School” backpacks for homeless youth on and near Colfax. The company also participates in leading industry events including serving as a sponsor of the City of Denver and the Organic Cannabis Association’s Cannabis Sustainability Symposium in Denver on Oct. 26 and participating in the Denver Office of Marijuana Policy’s second annual Marijuana Management Symposium on October 27 and 28; the 5th Annual Marijuana Business Conference & Expo (Booth #1722) held in Las Vegas Nov. 16-18; and NCIA’s Seed to Sale Show in Denver held Jan. 31-Feb. 1. For more information or to schedule an interview with a Good Chemistry Nurseries representative, please contact Shawna McGregor at 917-971-7852 or shawna@rosengrouppr.com. Good Chemistry is a leading provider of marijuana products and related services, and is committed to Leading the Way for people through the growth, production and use of cannabis. Good Chemistry is dedicated to cultivating the most consistent, high-quality cannabis available. Because we believe in leading the way and making life better for everyone, every strain is priced at $30 per 1/8, every day. We don’t have pricing tiers or shelf tiers. Just a great product at a great price. Good Chemistry’s two locations in Denver and Aurora offer customers an award-winning lineup of medical and recreational marijuana products and outstanding service from our highly educated and passionate staff. 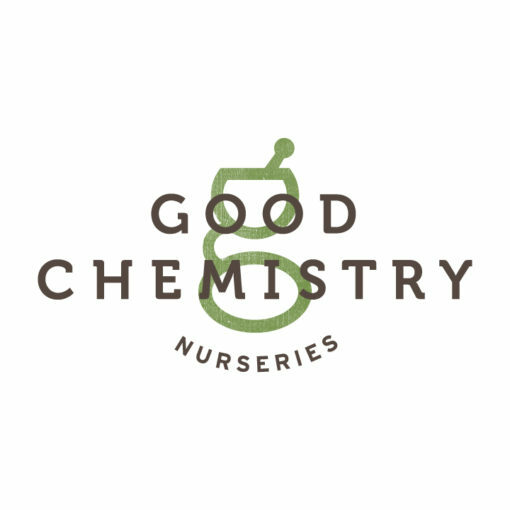 Good Chemistry has established one of the nation’s most sophisticated nursery programs, with grow operations in metro Denver that produce world-class products at the highest levels of quality, reliability and consistency. For more information, visit www.goodchem.org. Friend us on Facebook. Follow us on Instagram.